How did the idea of ​​creating the Xena series come about? Originally by the year 1995, the star series in the television was Hercules: The Legendary Journeys, interpreting to Hercules the actor Kevin Sorbo. In this series is that the character of Xena the warrior princess had three special appearances, at first as a murderer, then trying to kill Hercules and in the third joins him to try to overthrow Darphus, which was a villain of history. 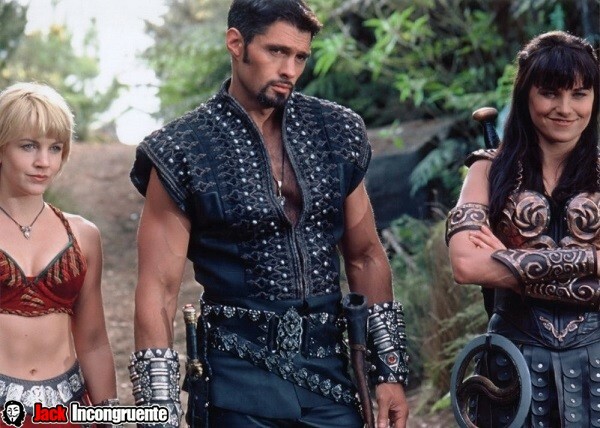 With these three participations it was enough for the audience, both men and women, to be enchanted with the warrior princess and aware of the success she had had, the producers of Hercules: The Legendary Journeys, decided to create an exclusive series about her, that ended up having more successful than the series of Hercules. The main public that saw these series were men, yes, it was logical that they decided to see a beautiful warrior facing the evil and strange creatures (and a little fan service), instead of a man with large pectorals. Originally xena the warrior princess was going to be played by the British actress Vanessa Angel , yes, the same actress from the series “Weird Science” or from the movie The Perfect Score , but unfortunately Vanessa Angel sick a week before beginning the shooting of the series, the production could not wait any longer, they were all in New Zealand , where they filmed both series, Hercules and Xena and that cost a lot of money, so resolving it quickly, selecting another good actress, a New Zealander named Lucy Lawless to interpret the role of xena . As you may remember as Hercules had a faithful companion of battles, in the series of xena was practically the same, only in a female version, so she also had a faithful companion, named Gabrielle, which was played by the American actress Renée O’Connor. 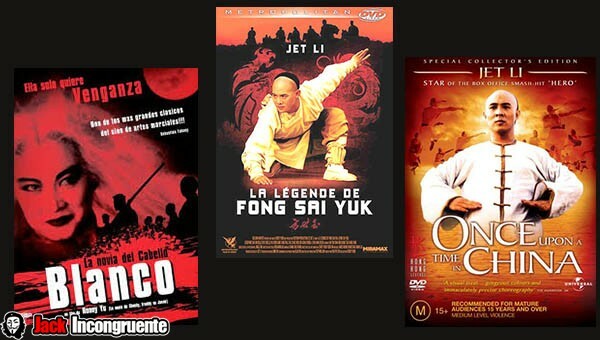 One of the most used elements in the series comes from Hong Kong movies, grandiose and acrobatic jumps, exhalation of fire, the ways of fighting with swords, are some of the cultural influences of Hong Kong cinema. in which by the way a young Jet Li participated. The same goes for the fight on the ladders with Callisto, it is very similar to the scene of the movie Once Upon a Time in China. And so we could spend a great time naming scenes from movies that served as inspiration for the episodes of the series. But now let’s go to inspect a little more to xena, I mean her skills and weapons. Something I personally remember very well, was that circular sharp weapon that Xena was carrying and that she controls masterfully, well that rare object is called Chakram or Chakra a legendary weapon from India, the chakram is primarily a weapon for launching, but it can also be used for hand-to-hand combat. Executive producer Robert Tapert saw it in an old book of ancient weapons and found it interesting to include it in the series, with time it would become the characteristic weapon of xena. In the Indian epics it is said that chakram It is one of the four weapons of the god Vishnu, it was composed of 108 jagged and sharp edges (although in the series we are not told how the chakram got to xena). In other versions of Vishnu’s story, it is said to be the wheel of time or the ring of God. But well that was in Indian legends and epics, since in combat it was really a fearsome weapon, it could be thrown up to a distance of 100 meters, on elephant or on horseback the chakram could be released more easily than spears or arrows. Due to its circular aerodynamic shape, it was not easily deflected by the wind. Another of his weapons was a whip and even though this reminds us of the amazons as the wonder woman, xena did not belong to that legendary town of warrior women, the actress Lucy Lawless played an amazon in the Hercules series, but that was just for that chapter, returning to the previous topic both his whip and his sword forged by hand, were normal and ordinary weapons, they did not belong to any deity. But yes, she had amazing combat and acrobatic skills, achieved by wars, remember that before xena fought for good, in the beginning was a cruel warrior and princess of the armies of Ares. She was called “Destroyer of the Nations”. 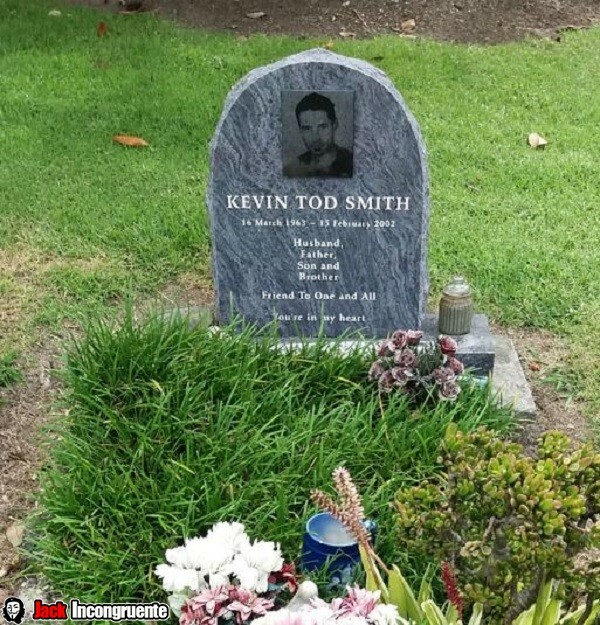 Kevin Tod Smith was a New Zealand actor who played the god of war Ares, accompanied xena throughout 32 episodes, Kevin Smith was also a renowned rock musician, unfortunately died of an accident in 2002 during his visit to a movie set in China. On February 6, 2002, waiting for a car to return to his hotel, after finishing his work in Warriors of Virtue. The Return to Tao, Smith decided to walk on the film set, climbed a tower that belonged to the set of the film, lost his balance and fell, wounding himself badly in the head. He was taken to a hospital in Beijing where he went into a coma and was in intensive care for ten days, until he was disconnected. He died on February 15, 2002, without regaining consciousness. A romance between xena and gabrielle? Throughout the series there was much debate about a possible lesbian relationship between xena and Gabrielle, when the writers heard about these rumors, they began to write even more compromising scenes between both characters, more jokes, more innuendo and other subtle proofs of a romantic relationship between Xena and Gabrielle, this was done just for fun and of course to keep the fans in the expectation that something more would happen between the two warriors. The popularity of xena was so great that even came to be in the Simpsons, who does not remember the classic meme of a sorcerer did? In that special episode of the house of terror 10, xena responds with that phrase to excuse the errors of continuity that the series has, and if that were not enough there is an official figure of the Simpsons of xena, which is collectable. Lucy Lawless was offered the role of Jean Gray in X- Men (2000), but Lucy Lawless could not take the role due to the enormous work load she had in the Xena series. The three main female characters are: Xena (which is translated as “foreign” in Greek), Gabrielle (translated as “messenger of God” in Hebrew) and Callisto (translated as “very beautiful”, again, in Greek). The double of Lucy Lawless in the series of xena was Zoë Bell, which later would become the double of Uma Thurman in Kill Bill movie. In the Comic Con de Nueva York of the year 2016, during the ” Ash vs. Evil Dead” panel, Fox Channel series, Lucy Lawless received a general request from the public, which was to perform the scream of Xena. After 15 years without having made it, the public was surprised that she did it perfect, like in the series, also they made her the request again in the FanX of the year 2018. The characters of Xena and Gabrielle and their relationship influenced too much to create the relationship between the characters of Ripley and Call, of Alien: the resurrection (1997), played in that film by Sigourney Weaver and Winona Ryder. Of course, the magazines for gentlemen of the time, were not without their own endowment of Xena and Gabrielle, since both were covers of numerous magazines, which had many sales. It is clear that if someone takes a look at the special effects of the series in full 2019 will be considered like obsolete, but let me tell you that in his time were praised, Xena was one of the series in which more money was invested for the special effects, normally these investments were seen in movies, but not in television series, even so, going back to take a look at the special effects, the creatures that designed and the villains, Wow it is a series that deserves respect, The truth is that if I had everything very well invested and it was a series that did not disappointed in a visual matter. 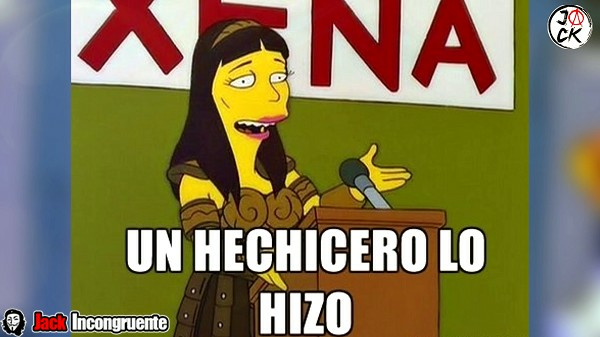 Xena: the warrior princess has been described as a phenomenon of pop culture and an icon of feminism. 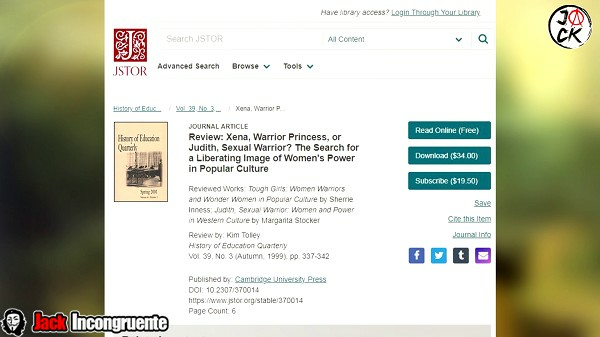 The influence of the character aroused academic interest to such a degree that essays were conducted and even theses such as the one entitled “Xena, Warrior Princess, or Judith, Sexual Warrior?” The theme has been placed in a wider historical and cultural context in the essay by Sherrie A. Inness Tough Girls: Women Warriors and Wonder Women in Popular Culture. Xena has also been praised by many critics, film directors and television series, for paving the way for a new generation of action heroines such as Buffy the Vampire Hunt, Max of Dark Angel, Sydney Bristow of Alias and The Bride of Kill Bill, film by Quentin Tarantino, who is a big fan of the character Xena. Although in these times it is true that that synonym that was Xena «a hard and fighter woman» has been forgotten and overshadowed by the amazon, Wonder Woman. Xena has also received rave reviews from a large number of critics, film directors and television series, for leading the way to a new generation of heroines like Buffy, the vampire hunt, Max of Dark Angel, Alias’s Sydney Bristow and The Bride. of Kill Bill, film by Quentin Tarantino, who is a big fan of Xena’s character. What was the end of the Xena series? The end of the series are always very controversial, it is very difficult to please the audience, with an end they like, and Xena was not the exception, you will see in summary accounts I will explain the final chapter. In him, Xena and Gabriel face the demon and soul-stealing spirit called Yodoshi, the only opponent who can defeat him is someone of the same condition, or another spirit. So Xena decides to sacrifice herself, she tells Gabrielle that she loves her, and that she always gonna remember her. Xena The Warrior Princess, faces hundreds of soldiers, receiving several arrows, one of them, came to hit her in the chest, while the hard confrontation took place, a samurai decapitates Xena and dies, Gabrielle tries to revive her in the Fountain of Strength, but the spirit of Yodoshi freezes the Fountain. Xena now dead is also a spirit, having the possibility of killing Yodoshi, but is even stronger than her and end up winning, Gabrielle takes advantage of the distraction of drinking water from the fountain and kissing Xena, with this she manages to magical waters turn Xena into a more powerful spirit and she manages to decapitate Yodoshi. Despite having the possibility of returning to life with the help of Gabrielle and the magic source, Xena decides not to return to life, she explains to Gabrielle that the souls that were liberated will not find peace unless they have been avenged, and for that, Xena must remain dead. Gabrielle cries and regrets what happened but ends up respecting Xena’s decision. In the end, Gabrielle’s fate is not explained to us, but I suppose she continues to travel and fight against evil, just as she did with her Xena companion. Many products have been marketed on the Xena series: the warrior princess, as episodes on DVD, a movie, books, comics or video games. Such is the case of the playstation console, in 1999 Electronic Arts carried out this title, it was not very popular, the game mode was not very well achieved, but at that time many games suffered from the same, so it was decent, was true to the story and could perform much of the attacks that Xena performed in the series, even in the same way film, which for fans of that time, it was just great. The second installment for the Playstation 2 console really was very short, because it seems that the only improvement it had was in terms of graphics, since the gameplay was still a disaster, it seemed more like a 3D environment for practice of videogame developers, I dare say that the version of Playstation 1 was better, and even the color delivery of the gameboy was more interesting and entertaining than the Playstation 2. We’ve talked a lot about Xena, but what about the actress who plays it? Lucille Frances Ryan, better known as Lucy Lawless is a New Zealand actress and singer, apart from having played Xena, she has been in the three series of Battlestar Galactica, in the Spartacus series: Vengeance she was Lucretia. he returned to Australia and signed with a mining company that was looking for gold. She became the only mining woman who did the same work as men. In 1988, at the age of 19 Lucy Lawless became pregnant with her boyfriend Garth Lawless, they returned to New Zealand where it was her first marriage, which lasted until 1995, later Lucy Lawless married the executive producer of the Xena series, Robert Gerard Tapert, marriage that lasts until today.